Napier Mayor Bill Dalton said yesterday he would not get involved in a debate with the New Zealand Taxpayers' Union. There are calls for the mayors of Napier and Hastings to front up over the storage crisis at the region's new museum. The new MTG building opened in Napier late last year but can only house 40 per cent of its $44 million collection. 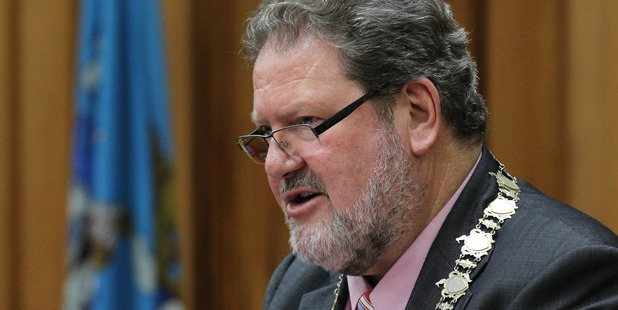 It's pitted the mayors of Napier and Hastings against each other, with Bill Dalton claiming Lawrence Yule knew about the problem a year ago, which Mr Yule denies. New Zealand Tax Payers Union executive director Jordan Williams says the situation is a shambles. "We've got to know who knew what when and how on earth this has been allowed to happen. Hawke's Bay ratepayers should be expecting answers."